Beyond providing data for all 32 NFL teams, PFF also supports network broadcasters with game-preview packets that are used to enhance the in-game experience for fans and viewers. This Browns-Buccaneers preview features the same information our broadcast partners use for team research and in-game production. 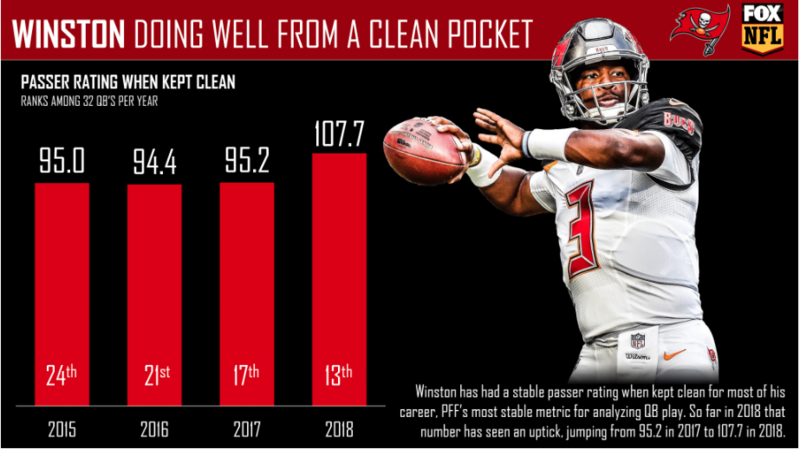 Quarterback Jameis Winston is off to a flying start from a clean pocket. He’ll look to keep that going against the Browns defense on Sunday. 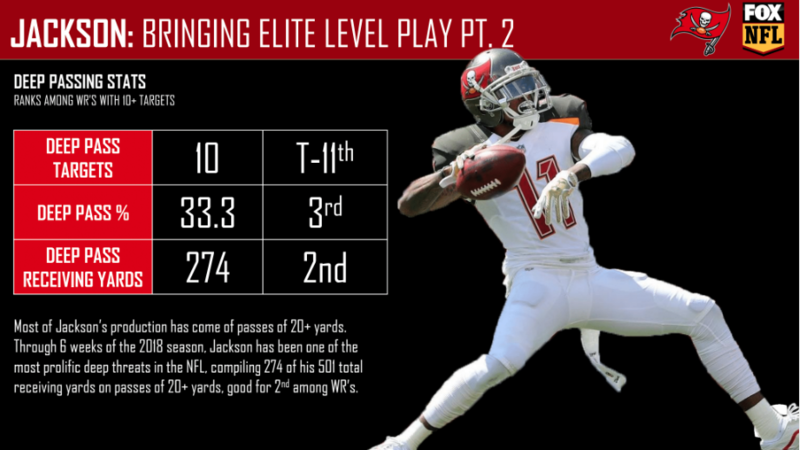 As always, wide receiver DeSean Jackson has been a dominant deep threat this year. Through six weeks, his 274 receiving yards from deep passes (passes of 20-plus yards downfield) are the second-most among wide receivers. 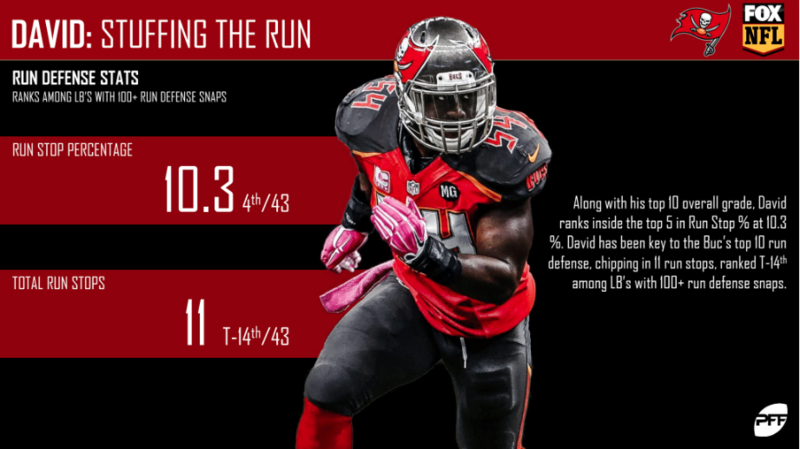 Linebacker Lavonte David has been dominant against the run this year. His run stop percentage of 10.3% ranks fourth among qualifying linebackers and his 11 run stops are the 10th-most among players at the position. David will be key to stopping the Browns’ rushing attack this week. 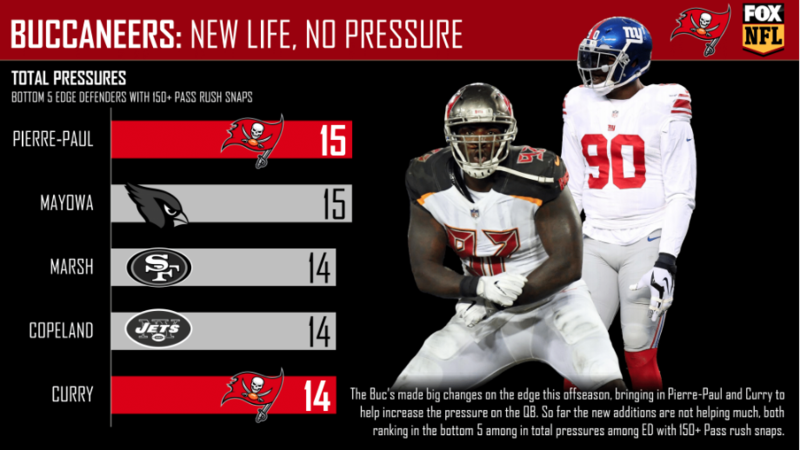 The Buccaneers made big changes this offseason, bringing in Jason Pierre-Paul and Viny Curry to help with the pass-rush. Unfortunately, those changes have been less than fruitful so far, as they both rank in the bottom five in total pressures through six weeks. 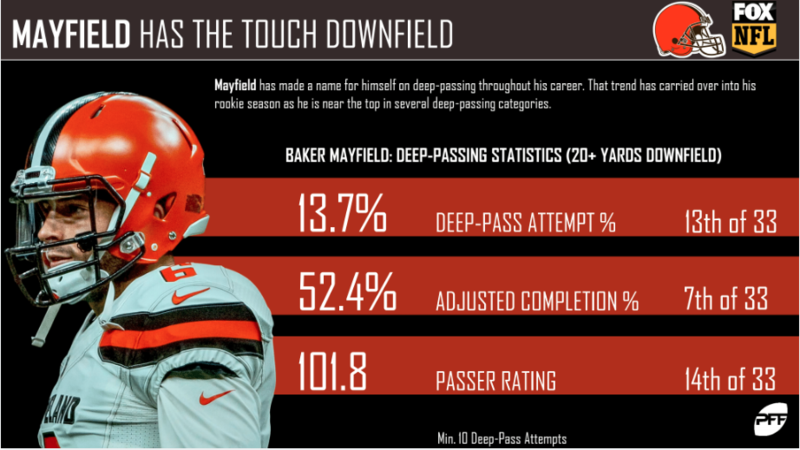 Baker Mayfield has been mightily productive when targeting his receivers deep downfield. His adjusted completion percentage of 52.4% on deep passes ranks seventh among qualifying quarterbacks and his 101.8 passer rating is good for 14th. 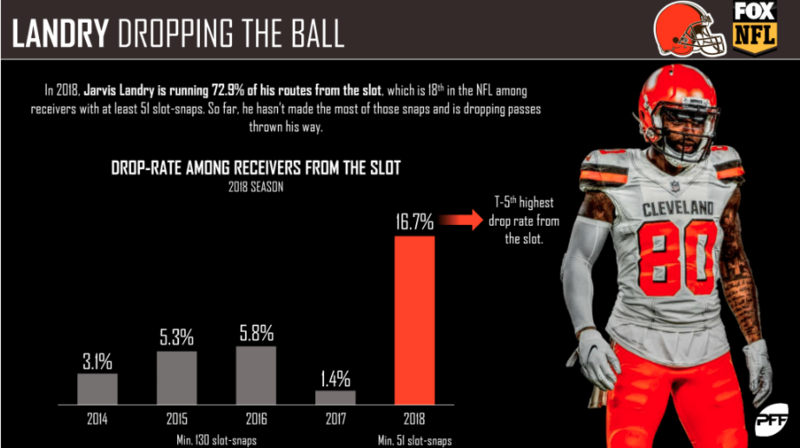 Jarvis Landry has drooped 16.7% of his catchable slot targets this year, which is a career-high for the normally sure-handed receiver. He’ll be looking to turn that around on Sunday against the Bucs. 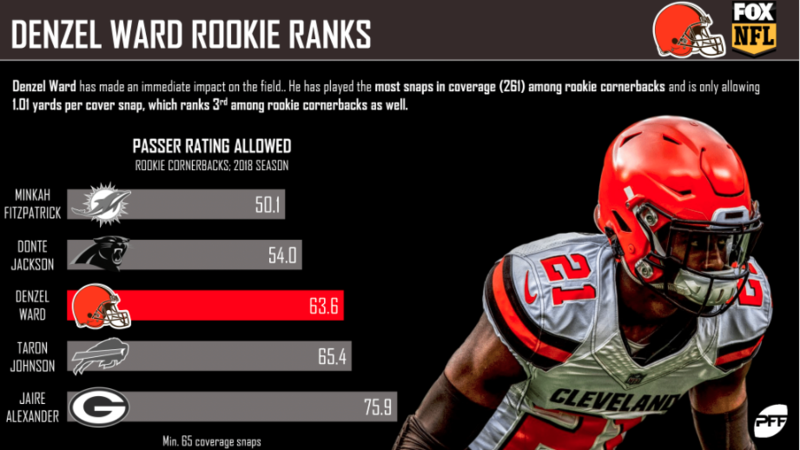 Rookie cornerback Denzel Ward has been mightily impressive in his first six games as a pro. He’s played 261 coverage snaps, which is the most among rookies corners, and he’s allowed a passer rating of just 63.6 into his coverage. Jameis Winston would be wise to stay clear of him on Sunday. 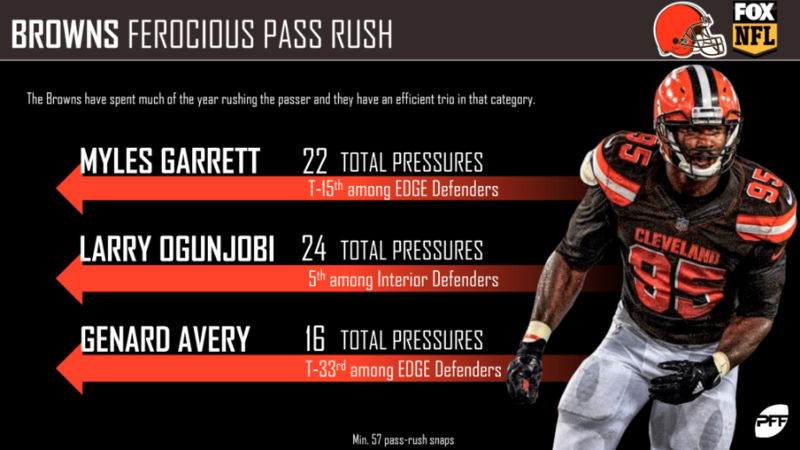 The Buccaneers’ offensive line better be ready for a fight on Sunday afternoon, as they’ll be going up against one of the most effective pass-rushing trios in the NFL. 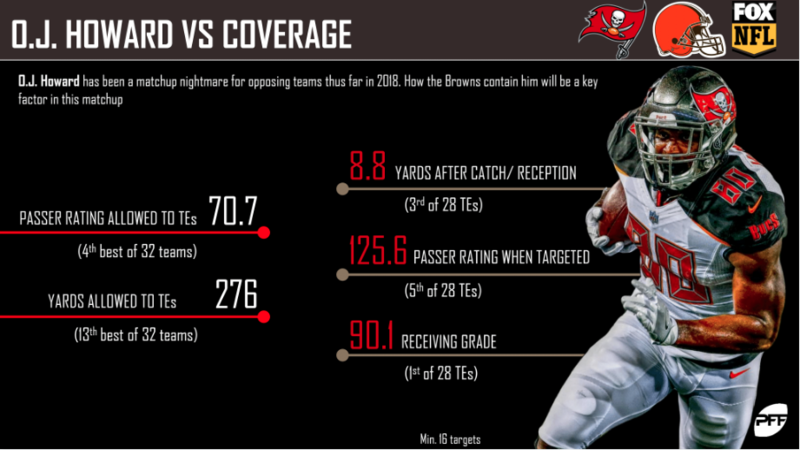 PFF Greenline has projections for the spread, moneyline and over/under of the Browns’ matchup with the Buccaneers. Get its picks here.